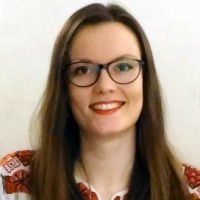 Lara is a French and German national and currently completing a master’s degree in Human Rights and Humanitarian Action at SciencesPo Paris, where she is specialising in Global Risk and South and Central Asian Studies. As part of a class project, she is working for UNICEF Nepal, elaborating advocacy strategies to implement the national nutrition plan and raise awareness for malnutrition issues in Nepal. Simultaneous to her studies, she is volunteering at the French association France Terre d’Asile and helping asylum seekers in their legal, administrative and social procedures. Prior to that, earned a double-bachelor in social and political science between SciencesPo and the Freie Universität Berlin, where she specialised child rights, gender issues and refugee law. She has two passions in life: journalism and human rights. She started volunteering many years ago, as a part of Amnesty International Action Against Hunger, teaching children from minority communities. Her biggest project was building a school in the village of Dompleu, in Côte d’Ivoire. Her student association Afric@ction organized the project, raised funds, participated in the building process and discussed a cooperative project to empower local women. As a journalist, she interned in two newspapers, but her biggest achievements remain two amateur documentaries she produced for a French foundation called Zellidja. The first was in India, where she focused on social inequalities within the Indian society; the second was in Indonesia, where she gave a voice to indigenous clans from West-Papua, suffering from discrimination. As a child, Nabaraj wanted to become a driver. Today he is a naike. Who will pay for Manju? After a quite adventurous travel, Michelle and I arrived safe and sound in Tulsipur.